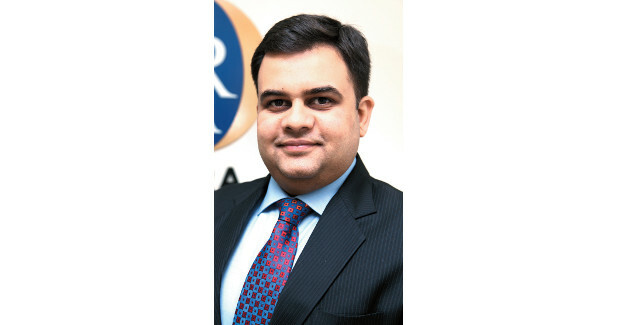 As vehicle prices are expected to increase by approximately 10-12 per cent (post new norms), the industry is likely to witness pre-buying in FY2020, says Shamsher Dewan, Vice President and Sector Head, Corporate Ratings, ICRA Ltd.
FY2017-18 saw the CV industry reach the highest sales after 5 years, with domestic figures touching 8.56 lakh units. What is your opinion on this? The domestic CV industry ended FY 2018 on a strong note, witnessing a growth of 20 per cent in volume terms over the prior year. The recovery was driven by a combination of factors including pent-up demand post demonetisation and GST and macro-economic recovery as reflected by recovery in both industrial and infrastructure development. During FY 2018, stricter enforcement of overloading norms in select states, especially in north India, had also contributed to the growth momentum. Additionally, sectors like auto carriers, 3PL players, cement, steel and oil tankers also contributed to growth. In FY 2018, the growth was supported primarily by M&HCV (trucks) and LCV (truck) segments, which grew by 19.4 per cent and 29.5 per cent respectively in unit terms. Apart from low-base effect, the strong growth in the truck segment has been supported by pick-up in infrastructure projects, particularly in the roads, urban infrastructure and affordable housing segment. In contrast to trucks, the demand for buses contracted sharply during FY 2018 by 13.7 per cent, with no order inflows from State Transport Undertaking (SRTUs), which represent a sizeable part of the bus market in India. How much did the M&HCV segment contribute to this figure? Further, how has it performed till now? In FY 2018, the M&HCV (truck) segment grew by 19 per cent in volume terms, led by ICVs (7.5-12T) and HCVs (16.2T+), while MCVs de-grew. Within the HCV segment, the growth was driven primarily by 37T haulage trucks and tractor trailers. After a year of strong growth in FY 2018, the domestic commercial vehicle (CV) industry continued its growth trajectory during the current fiscal as well, with a strong growth of 31 per cent in domestic CV sales till 8m FY2019 over the corresponding previous. Although supported to some extent by the low base of the previous year when GST-led disruptions and supply constraints (post BS-IV implementation) had impacted the sales significantly in Q1 FY2018, the demand for CVs during the current year has also been favourably supported by pick-up in construction sector (as reflected by strong demand tipper trucks) as well as healthy demand from consumption-driven sectors (for ICVs and LCVs). While the growth momentum remained intact till October 2018, the adverse impact of tightening financing environment, and weakening viability of Small Fleet Operators (SFOs) because of sharp increase diesel prices along with subdued freight rates have started showing its impact on CV sales from November 2018 onwards. The road transportation segment is currently witnessing surplus capacity in the CV parc a) because of significant capacity addition over the past 5-6 quarters and b) revision in axle load norms from July 2018 onwards, which has led to approximately 12-18 per cent increase in capacity of existing fleet of trucks. This along with faster turnaround of vehicles post the implementation of GST and e-way bills has contributed to surplus capacity. As a result, freight rates have remained relatively flat during the current fiscal, while operating costs led by rise in diesel prices and EMIs have risen sharply. This has significantly impacted the viability of fleet operators, especially SFOs, as large fleet operators are able to withstand such pressures owing to better bargaining power with their clients and asset-light operating model. Given these trends, the financing environment has also turned cautious as reflected by tighter lending norms being implemented by financiers. Do you think there will be an increase in M&HCV exports? If yes/no, then why? Yes; Growth is supported by healthy demand from Middle East, Africa and nearby markets. In addition, OEMs are expanding presence and distribution reach in new markets, which is expected to contribute to growth. Trucks in the range of 35-40 tonne grew over 100% and saw a total sales of 27,936 units. Are we going to see a change in this trend or will it remain for a while? The M&HCV segment can be broadly divided in three segments based on Gross Vehicle Weight (GVW) – intermediate commercial vehicles (ICV) (7.5-12T), medium commercial vehicles (MCV) (12-162T) and heavy commercial vehicles (HCV) (16.2-49T). Based on application, the HCV segment can be further classified between multi-axle vehicle (MAVs), tractor trailers and tipper trucks. MAVs account for approximately 50 per cent of HCV (truck) sales in India, while the balance market is almost equally split between tractor trailers and tipper trucks. The tractor trailer, which accounts for ~25 per cent of HCV (truck) sales in India, primarily finds application in transportation in specific segments/sectors like container cargo, automobiles, finished steel products and cement. During 10m FY2019, the tractor trailer segment has witnessed a decline of 11 per cent in volume terms. However, in comparison, the MAV, segment has grown by 16 per cent. The MAV segment can be broadly divided between – 25T, 31T and 37T trucks. While over the past few years, the 37T segment was the key growth driver within MAVs, during the current fiscal, the 25T segment has registered higher growth primarily because of revision in axle load norms from July 2018, which has shifted the demand back in favour of 25T trucks (or commonly known as 10-wheel trucks). How will BSVI impact the M&HCV segment overall? We believe that the industry growth over the medium term will be supported by impending implementation of BS-VI emission norms from April 2020. As there would be significant reduction in emission standards under BS-VI vis-a-vis BS-IV, vehicle technologies are likely to witness significant upgradation, with major changes in engine design and after treatment systems. For instance, to meet stringent BS-VI norms, fuel burn efficiency will have to improve, which will entail engines to withstand greater pressure. This will require certain changes in engine design and more specifically materials that will be used for manufacturing. To control tail pipe emissions (i.e NOx, PM), diesel particulate filter (DPF) hitherto not present in vehicles will become mandatory besides components for SCRs and EGRs. With these changes likely to result in significant price increases for CVs (8-10 per cent as per ICRA estimates), it is likely to trigger pre-buying and support CV sales in FY 2020. Where do you see the M&HCV segment going in the next couple of years? While liquidity pressures are expected to ease in the near-term, ICRA expects the demand sentiments to remain weak in the near-term, which along with higher than usual inventory levels in the system will exert pressure on CV sales over the next few quarters. The M&HCV (truck) sales, led by the HCV segment had declined by 11 per cent in November 2018, 23 per cent in December 2018 and 1 per cent in January 2019 on YoY basis and are likely to further contract in the near-term. As a result of these factors, ICRA has revised the growth outlook for M&HCV (truck) sales to 9-11 per cent for FY2019. However, the outlook for FY 2020 remains supported by potential pre-buying ahead of the implementation of BS-VI emission norms (from April 2020 onwards).